This topic contains 0 replies, has 1 voice, and was last updated by Community Manager 9 months, 2 weeks ago. Say hello to Reolink Argus ® Pro, a more powerful, comprehensive and versatile smart security camera than its first generation Reolink Argus ®. 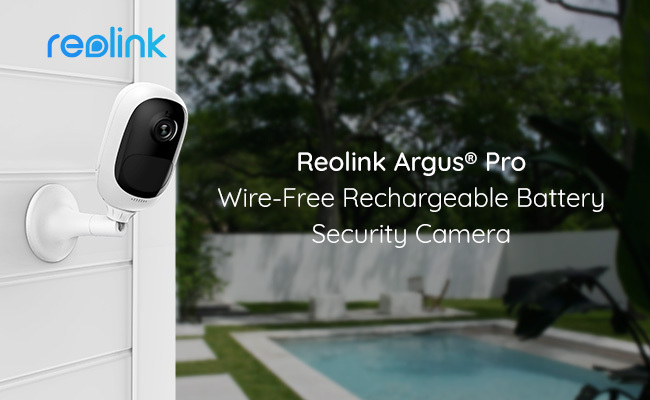 The 100% wire-free Reolink Argus frees you from the cables and power outlets, and the rechargeable battery powered Reolink Argus Pro takes a step further to get rid of the battery placement trouble. You may shop the Reolink Argus Pro now at only USD 91.99, or join in our giveaway to win it for FREE! The giveaway ends on July 28, 2018, PDT, and there will be 5 winners every week. Hope you good luck!